Jewish Farm School has developed a program called Shorashim: Rooted in Justice Engaging Teens Through Food, Farming, and Sustainability. 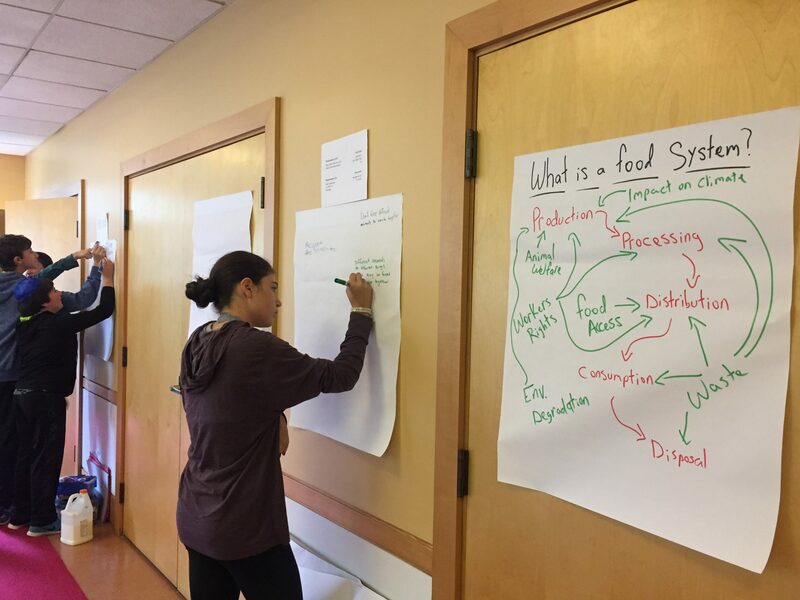 Shorashim: Rooted in Justice is a teen-focused series of workshops that uses food as a lens through which to explore a rich range of topics, including sustainability, worker’s rights, social justice, and Jewish traditions. Jewish values are at the root of their curriculum and frame deeper learning and broaden students’ Jewish literacy in ways that are profoundly relevant to their interests and passions. 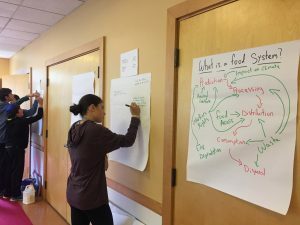 Concepts such as Bal Taschit, and Jewish agricultural laws such as Peah and Leket, are taught to students through engaging and experiential activities, and are used to contextualize contemporary issues in the legacy of Jewish traditions and strategies for social change.